Triple-play represents a great opportunity for operators but comes with significant customer service challenges. According to our data, sometimes 50% of the device shipments result in No Fault Found (NFF) returns of the modem or mediabox. This makes it clear that contact centers fail to deliver the necessary support. Providing your customers with adequate online support is no longer optional, it is a requirement. According to EY, triple- and quad-play bundles generate higher customer satisfaction and reduce churn. The customer loyalty also tends to increase in proportion to the number of the services included in the bundle, making customers less likely to switch providers. A often forgotten aspect of Triple-play is support. Through our research we noticed the increasing customer support costs for the modems and mediaboxes required at the customer’s home to deliver the services. For users, the self-installation of the device is the most complex part of the setup process. As their technical skills are challenged, customers look for help online. The lack of support tutorials on the operator’s websites results in approximately 1-3 calls per shipment. Besides, on-site support has served between 20% – 100% of shipments of mediaboxes at 60 Euro or more. However, the costly support efforts fail altogether to produce the desired ROI as 50% of all devices are returned and qualified as “No Fault Found” (NFF). Except the costs, the lack of online support affects customer experience and loyalty. To minimize the support pain on both ends, tailor your solution to the customer’s journey. It’s 2016 and calling the call center is the customers’ last resort. They look for help online and have no patience to stay on the waiting line of your contact center. Time spent and convenience are key as an average user will only spend 20 minutes trying to solve a problem before abandoning it. All too often, frustration is a leading cause of devices being returned rather than any real fault. Extra Tip: Make your tutorials easy to find not only on your website but also in Google. Search engine optimization (SEO) is important because many customers start their support journey at Google. With mobile customer support traffic over 50%, designing “mobile first” should be your first goal. As mobile has become the go-to device, customers are increasingly using it to search for support. With the 3G or 4G connection it is easy for customers to access support content. Even when their home internet connection is not functioning. Moreover, it is now possible to leverage smartphone functions for analyzing and diagnosing device issues. 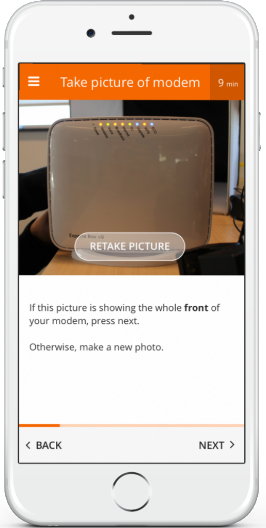 For example, customers of some operators use their smartphones to send pictures of their cable box setup to the support agents. As a picture conveys information much quicker, problems are being solved on the spot in most cases. Turning your users’ smartphones into smart trouble-shooters provides twofold benefits. It enhances fixed line devices customer service and improves NPS. 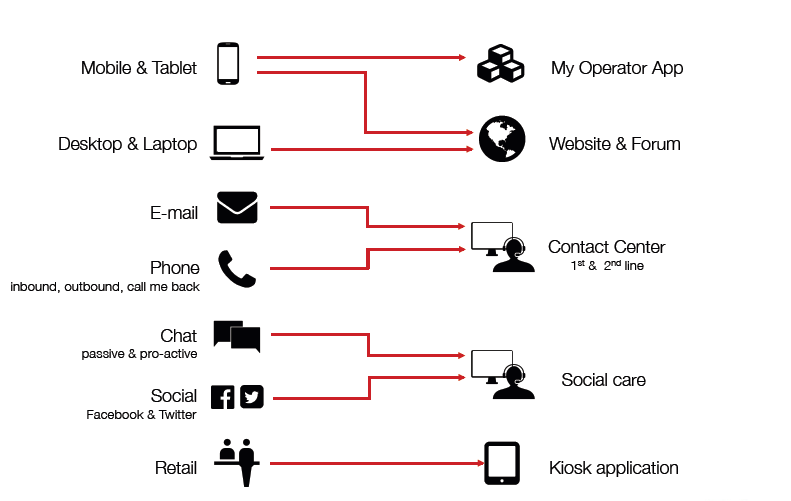 Operators should tailor their support efforts to the new customer journey. Addressing customers’ issues in the channel where they look for help first (Online) is the way to reduce NFF returns and support costs. The amount of resources allocated to develop and maintain an online selfservice solution, in house, could offset the benefits of it. Qelp helps more than 60 operators to reduce NFF and provide superior customer experience. Our selfservice solution integrates seamlessly with your website’s branding and functionality.